Will new DOJ Decision Hit Cryptocurrency Gambling in the US? Gambling online in the US has been a challenging affair for years now as not only there was the UIGEA Act passed in 2006 but also the interpretation of the 60-year old Wire Act that came in 2002 that targeted sport betting in particular. In recent years, many US gamblers in search of offshore casino and betting opportunities resorted to using cryptocurrencies to withdraw and deposit in gambling sites in order to bypass such restrictions. But according to a new decision by the US Department of Justice (DOJ), this way of online wagering may become harder in the future. As reported by Bloomberg, the DOJ recently expanded online gambling prohibition on a federal level by reversing its 2011 interpretation of the Federal Wire Act. Back then, the Department established a position that only sports betting was clearly prohibited by the old federal law, leaving a “gray area” for the spreading of other forms of online gambling like Poker. But now, a new opinion has arrived from the Office of Legal Counsel of the DOJ that the 2011 position was a “misinterpretation”. This new opinion is expected to have a negative effect on the online gambling industry in the US and create new legal challenges. 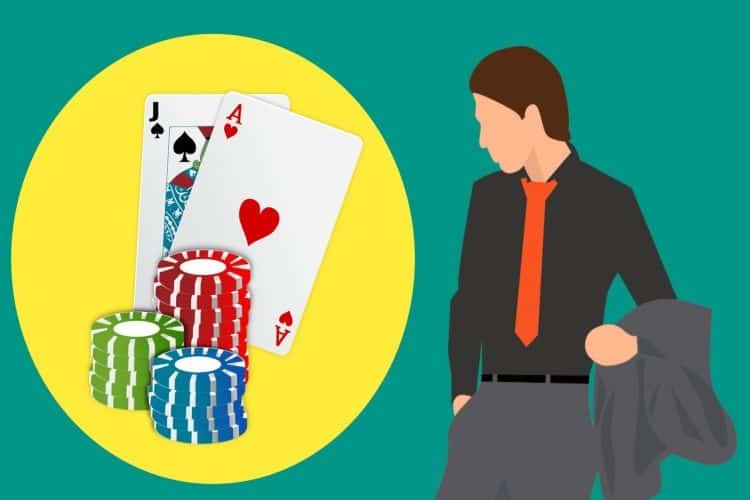 The problems arise not because the federal law allows the transmission of wagers and wager-related information across state borders, which is clearly prohibited, but because it will be difficult to guarantee that no payments tied to online gambling are routed or re-routed through other states. The new interpretation is particularly expected to affect interstate lotteries which have expanded after the 2011 DOJ opinion. The interstate Poker tournaments between New Jersey, Nevada, and Delaware, which were made possible by an exemption, will also be challenged. Shares of IGT and MGM resorts, but also those of other casino operators, fell not long after the opinion spread online. With the meteoric rise of Bitcoin and alternative cryptocurrencies in recent years, it’s no surprise that we’ve seen an increase in cryptocurrency casinos and other related betting and gambling products. As we reported last week, it’s not only Bitcoin casinos that are being used for crypto-wagering but also gambling dApps which are particularly popular with TRON (TRX) and EOS users. In fact they are so popular that most of the activity on TRX and EOS networks is related to gambling. However, DOJ’s new opinion may complicate things a bit as most dApp developers or gambling sites may be spooked by the Department’s new stance that all forms of online gambling are covered by the 1961 Wire Act and not just sports betting. While it’s not a 100% possibility, they may be some operators who will withdraw from the market, especially if they use fiat currencies or are in other ways “centralized” and have their transactions routed through banks in the country. But then, on the other hand, this decision could also drive more US bettors to invest in Bitcoin and instead use offshore decentralized casinos to wager online.